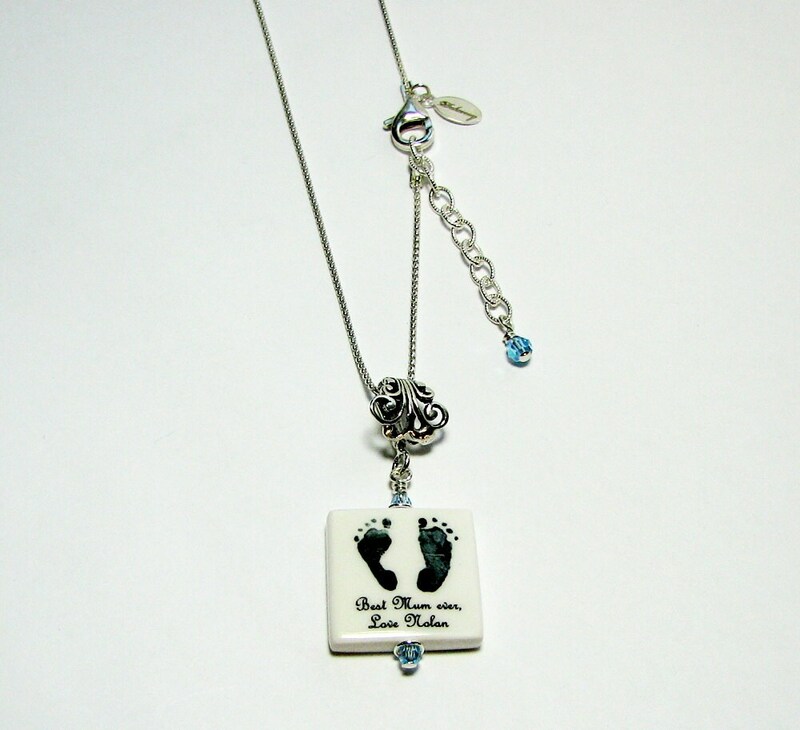 A perfect gift for a new mom! 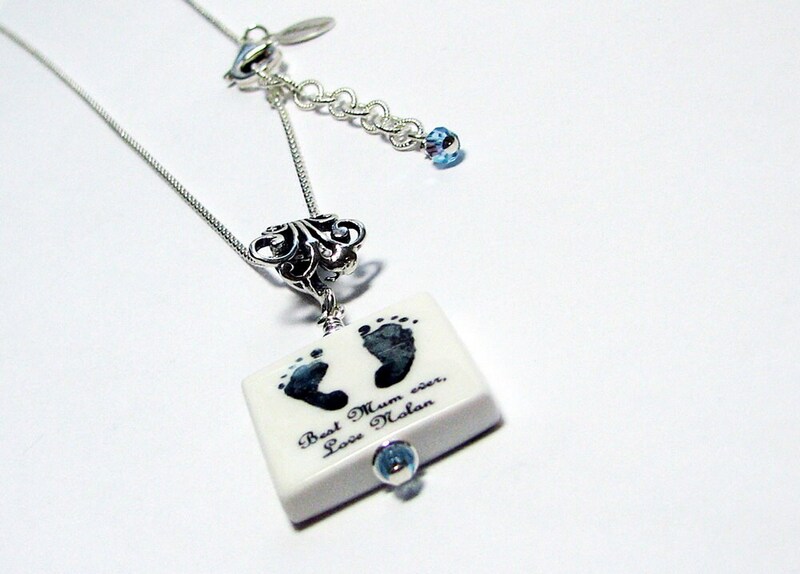 You can photograph your newborns footprints and send them in with your desired text. 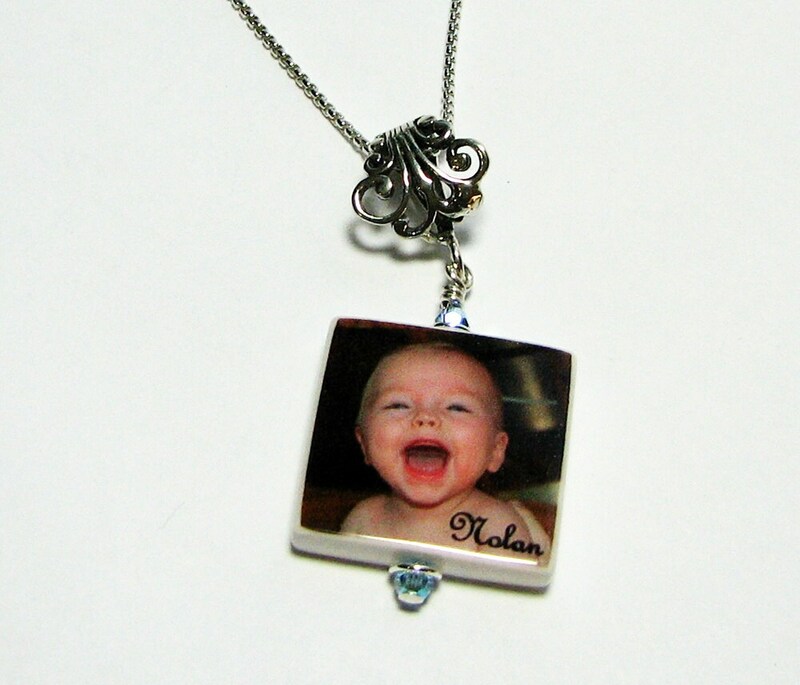 This is a small, two-sided photo pendant with the addition of a Swarovski crystals that are available in every birthstone. It is up to .75" X .75" in size and it hangs from a Fancy Bail. 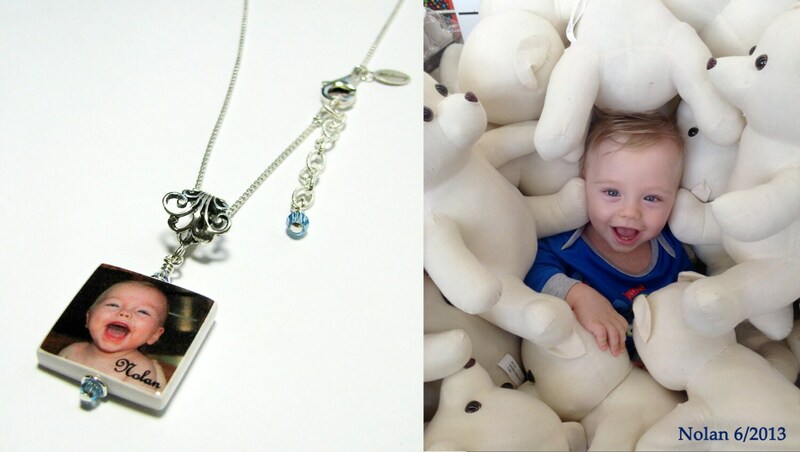 This is a sterling Rolo chain with a lobster claw clasp, and a 1" extender chain for your most comfortable fit. Request your desired length between 16" and 22" when you place your order. 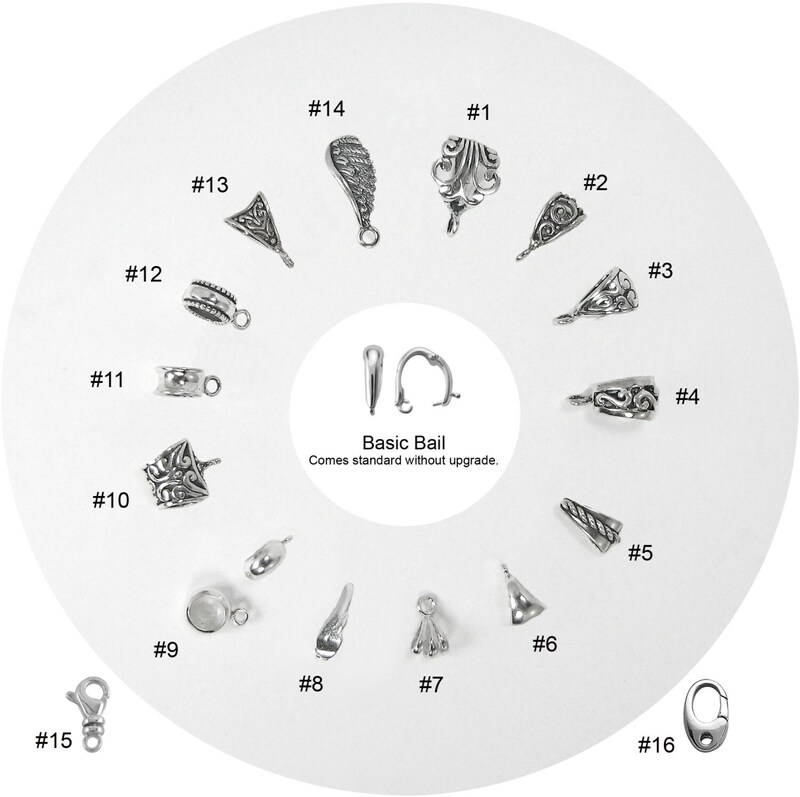 Choose your favorite bail from the image above.